Wondering why you or your family members are sniffling, rubbing your eyes or scratching your skin? If allergens are to blame, it might be time to get spring cleaning! 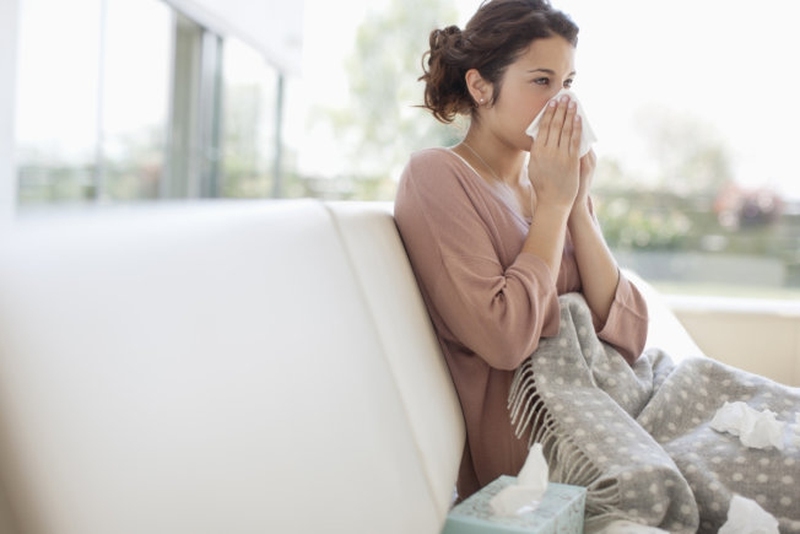 Everyone feels the effects of allergens differently – some in your house may not be too bothered while others find themselves heavily affected. While you can never entirely rid your environment of allergens, there is plenty to can do to reduce them. As the name suggests, dust mites live in dust, which mainly consists of shed skin flakes - a mites preferred food source. Dust mites like to dwell in areas that are heavily used, such as beds, upholstered furniture and floors. A damp cloth or electromagnetic duster will trap and remove dust without releasing the mites into the air. Dust mites love fabrics, so wash bedding, rugs and any other type of machine washable fabric, including toys, in hot water (choose products that allow for washing at temperatures of over 55 degrees). Wood and tiled floors are easier to keep clean than carpets with a simple weekly vacuuming and mopping. Mould is a type of fungi that lives on plant and animal matter and flourishes in damp and poorly ventilated areas. Airborne mould spores are commonly found in both indoor and outdoor environments and when they land on damp spots indoors, they may begin to grow and spread. Kitchens, bathrooms and laundries are obvious spots for mould, though cupboards, walls or windows that are exposed to hot indoor air and walls and ceilings with insufficient insulation or rain seeping through the roof can all develop mould patches. Small areas of mould can be cleaned using a damp wipe with detergent solution, vinegar solution or alcohol solution (one part vinegar or alcohol to three parts water). Commercially available mould treatments can bleach the mould white, but may not remove the mould. When cleaning mould, don’t dry brush the mouldy area as the brush can flick mould spores into the air. This fanciful sounding allergen refers to a combination of dead skin cells and hair (or feathers), which can be found on your pet, or shed onto floors, upholstery and bedding. Minimising contact with pets is the first step – keeping your pet outdoors as much as possible and barring them from bedrooms, couches, area rugs and rooms with carpet. Children with allergies should also avoid petting or touching animals and should wash their hands thoroughly when they do. Washing your pet as frequently as possible will also help (talk to your vet about low irritant shampoos, as frequent washing can create skin conditions for some pets). Also keep their bedding clean and wash in 55 degree Celsius water once a week. These creepy crawlies love crumbs, food scraps and water – in fact they need both to survive. As they crawl around the house, they leave their droppings behind on floors and other surfaces. To keep cockroaches at bay, you need to be vigilant about keeping clean floors and surfaces (including inside cupboards) – and also ensuring they are thoroughly dried after washing. Make sure you use plates when eating snacks, and that you keep food out of the bedrooms. Avoid leaving your dishes overnight and floors should be regularly vacuumed or mopped to ensure crumbs are kept to a minimum. Other tips? Keep all food stored in sealed containers and keep garbage cans covered and emptied regularly. The role of the pollen grain is to fertilise the female flower to reproduce plant species. While pollen may originate in the great outdoors, it can easily find its way into your home via washing from the clothesline, on clothing as you come in the door or through windows and on your shoes or pets. As anyone with hay fever can attest, pollens are easily moved great distances by the wind and certain times of the year and locations are more prone to heavier pollen counts. It’s hard to keep pollens outside, but keeping windows and doors closed is a good start, as is using a clothes dryer rather than an outdoor line where possible. On high pollen count days (if you are allergic, you’ll be able to tell by the watering eyes, itchy skin or coughing and sneezing!) have a shower and get your clothes into the washing machine when you get home, stay indoors as much as possible and put off moving the lawn. Don’t allow smoking in your home, or outdoors near windows or doorways. If you smoke yourself and need help to quit, visit www.quitnow.gov.au for helpful advice and tips.